Can an approach to printmaking today be transgressive? Artist-printmakers fixated on technical processes may have indeed “printed themselves into a corner” just as many artists today using digital/mechanical processes and color printers have produced works with varying results. What we mostly see in the print world is the same artists, familiar styles, subjects, motifs, and materials being reanimated to exhaustion. What are the conditions conducive to transgressive approaches to printmaking? Transgressive art suggests a pushing at boundaries. Violation or corruption comes through experimentation with new forms and concepts. Donald Saff founded Graphicstudio in 1968 on the campus of the University of South Florida as an “experiment in art and education”. Invited artists are offered a broad array of technical processes and a collaborative environment designed to encourage a dialectical response to both contemporary conditions and the tools of printmaking. Printmaking, using any of the technical processes, is by its very nature an act of resistance. The creation of the imprint, the trace of the mark, is the interstitial matter that forms the dialectical image. Leading artists best known for working in other mediums have produced watershed projects at the studio. Robert Rauschenberg, James Rosenquist, Roy Lichtenstein, Ed Ruscha and Robert Mapplethorpe among others have made successful translations between modes of thought and material languages, utilizing various processes and systems of production to produce new work that advanced their practice into new realms. Rauschenberg experimented with sepia and cyanotype; Rosenquist combined monoprint backgrounds with collaged lithographic imagery; Lichtenstein embraced the innovative “wax-type” process developed by Graphicstudio printers that allows for the screening of encaustics on paper; Mapplethorpe produced large-scale photogravures; and for Ruscha the studio found a way to print on the fore-edge of a book. In recent years a number of artists have continued to develop projects at Graphicstudio with transgressive approaches in their utilization of printmaking processes. Iva Gueorguieva’s inter-media approach has privileged the printed mark over the painted or drawn mark. Printed elements using lithography, etching, soap ground and cyanotype were attached to welded metal structures, creating unique objects. Christian Marclay created the Manga Scroll, an 18-meter lithographic hand scroll, edition of 5 plus 2 APs, that uses onomatopoeias sourced from manga (Japanese comics) as musical notations and is intended to be performed. Allan McCollum has taken a more conceptual approach, Lands of Shadow and Substance are digital prints of landscapes derived from screenshots taken from episodes of the 1959 science fiction television series Twilight Zone. The framed prints function as dialectical images and their vagueness becomes a form of poetic degradation. For Vik Muniz, the “original” does not exist. For his Lovebugs suite, flying, mating insects were captured and arranged into outlines of figures in Kama Sutra positions. The designs using frozen bugs were produced as photogravures and the suite of 12 images activates a quality of indeterminacy because of the transference of the “material” and the visual pun. Graphicstudio’s non profit status and location on the campus of a large metropolitan research-oriented university allows artists to work without commercial pressures and experiment with techniques and processes often refined or developed in collaboration with highly skilled printers and fabricators. It is this research and collaborative environment that attracts leading and emerging artists from around the world to work at the studio. Margaret Miller is a tenured Professor in the School of Art and Art History and Director of the Institute for Research in Art (IRA) at the University of South Florida in Tampa, Florida. The IRA is dedicated to organizing and presenting exhibitions and commissioning work by internationally significant emerging and acclaimed artists. Miller holds an MA degree from the University of Hawaii in Oriental Art History. 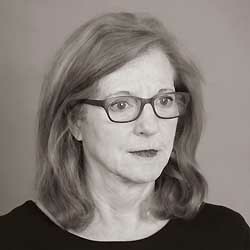 From 1978 to 2001 she served as Director of the USF Contemporary Art Museum and in 2001 was appointed to also serve as the Director of Graphicstudio, USF’s renowned art production atelier. The Contemporary Art Museum, Graphicstudio and USF’s Public Art Program form the Institute for Research in Art in the College of The Arts. During her tenure at USF she has taught at both the undergraduate and graduate levels and curated numerous exhibitions with accompanying catalogues.